students on the campus of Langston University quickly blossomed into a church, which is now known as CovenantLife-Langston. In 2007, Phillip E. Davis, Senior Pastor of CovenantLife Family Worship Center, along with a church team of evangelists, headed to Langston, Oklahoma to host a weekly meeting in hopes of helping college students stay grounded and strengthened in their relationship with Christ. The Thursday meetings proved effective and gave birth to a student organization called Truth Seekers. As the students in the group grew hungrier for God's Word, Pastor Davis expanded the ministry to a Sunday morning worship service held in the university's chapel. 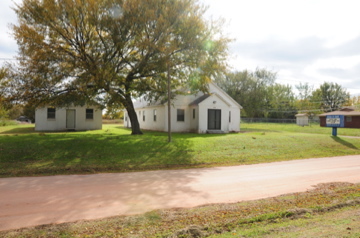 Within less than two years, it was nothing short of a miracle when a young minister, at the urging of the Holy Spirit, offered Pastor Davis a property in the town of Langston to hold worship services. Now, the church is comprised of community members and college students alike. Services are held on Sunday mornings at 10:30 a.m. and a mid-week service will be offered shortly after the beginning of the New Year. CovenantLife-Langston is located at 300 East Washington, Langston, OK 73050. For more information, please call (405) 232-0754.